The musical collective is heading to Red Rocks Amphitheater this coming Summer season! Nahko and Medicine For The People will be taking to the road to spread the positivity through their distinctive sounds led by the man himself, Nahko Bear… first on the bill for this night will be Trevor Hall. You can catch this as it takes place on Sunday 16th June 2019 – come show your love and support as they do the same right before your eyes on the Red Rocks stage! 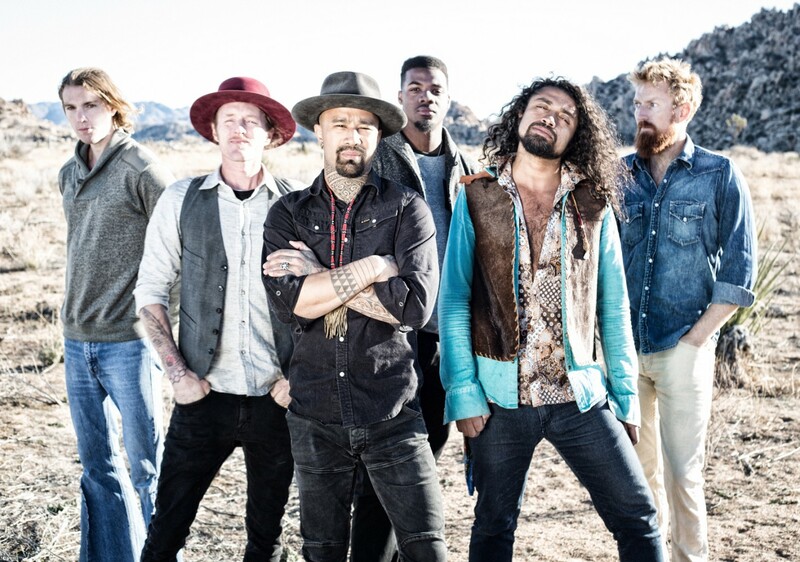 The groundbreaking act Nahko and Medicine For The People are on a mission to bring beautiful music that inspires the masses, with their effortless blend of folk rock, hiphop and a little hint of Reggae, they give a wide spread message from a global mindset. These guys are an all time favorite at Red Rocks and it's pretty clear to see why. The Colorado venue opens it's doors on a summer night to give the crowd the time of their lives, what could be more perfect. Fronting this popular group is Nahko aka Nahko Bear, from the world go he was destined to make music. Growing up with a mix of Puerto Rican, Native American and Filipino in his family, this Oregon born musician was inspired from an early age to celebrate all of his background through his songwriting and ensure that he keeps his worldwide perspective. Along with this, he was influenced by the storytellers such as Conor Oberst and the legendary Bob Dylan. And with storytelling, comes traveling, Nahko left his home at a young age to take the world by storm and open his horizons… with a passion and an idea to bridge the gaps between cultures and countries. Nahko has always had a desire to create his journey through life with self healing and spirituality, which he shares with his fans throughout all of his shows and of course his recordings of his captivating songs. As Nahko and his band heads out across North America during the summer of 2019, you can grab the chance to catch them LIVE! Come and see just what makes this collective a special one, every single concert they perform is different from the rest and where-ever they go they never fail to create that perfect intimate evening to go hand in hand with their music.